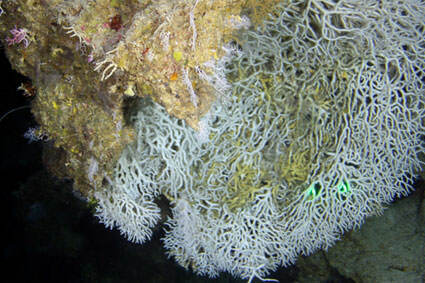 Large colony of the deep-water coral Madracis myriaster at 150 meters (492 feet) in Roatan, Honduras. The green laser points visible in the lower right are 10 cm (3.98 inches) apart. 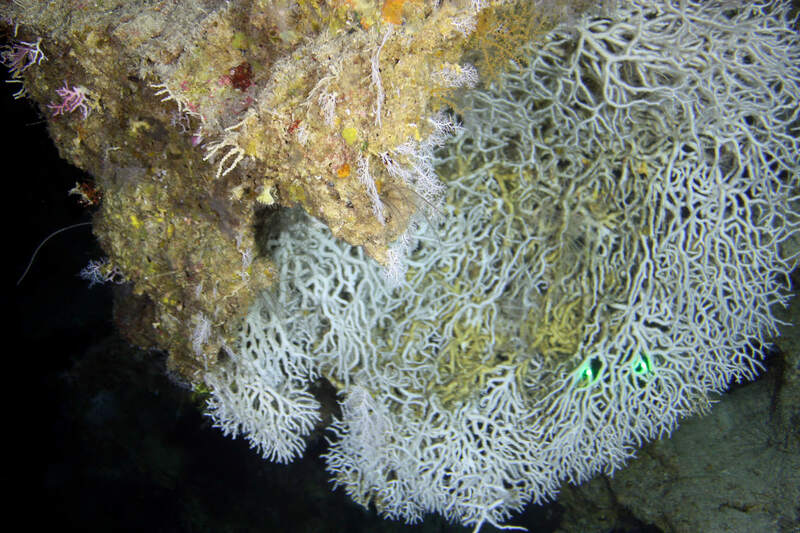 In 2010 and 2011, a NOAA-led team of researchers explored the deep Meso-American Reef off Roatan, Honduras, as part of a multi-year expedition called 'Deep Coral and Associated Species Taxonomy and Ecology', or DeepCAST. The goal of DeepCAST is to estimate deep-sea coral abundance and diversity; and to discern the nature of the relationship between host corals and their associated species. The primary reasons we study deep-sea corals are because they provide habitat to other species of fish, sea stars, shrimp and crabs; and they grow very slowly, so they are vulnerable to bottom contact fishing gear.